This one is truly a quick, customizable throw-together from the “whatever your kid prefers” files. 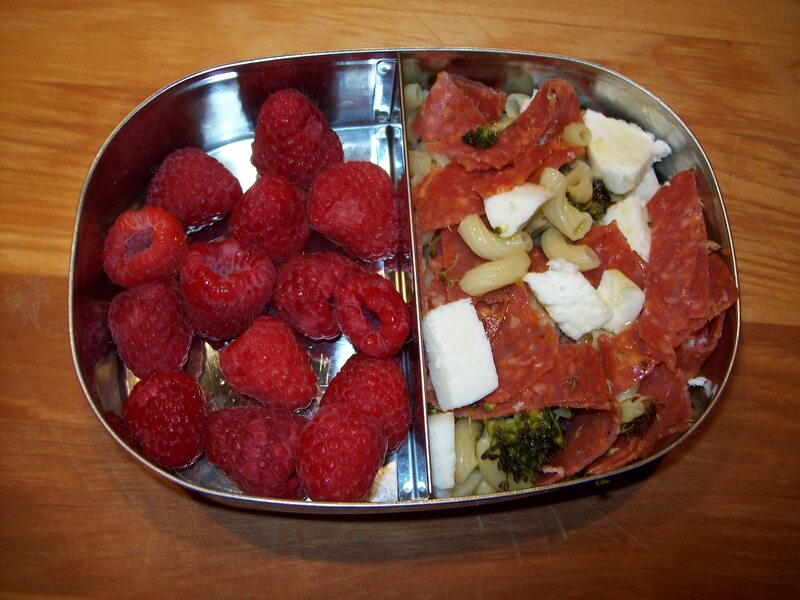 There’s nothing crazy in it, no fancy flavor combinations, and nothing that should be particularly off-putting to the average school-aged eater. If you have some leftover cooked pasta hanging around — which I highly recommend doing, with some regularity, for just such an occasion — you can mix it up with a few fridge finds and have a very nice, filling lunch ready for your kids in no time flat. 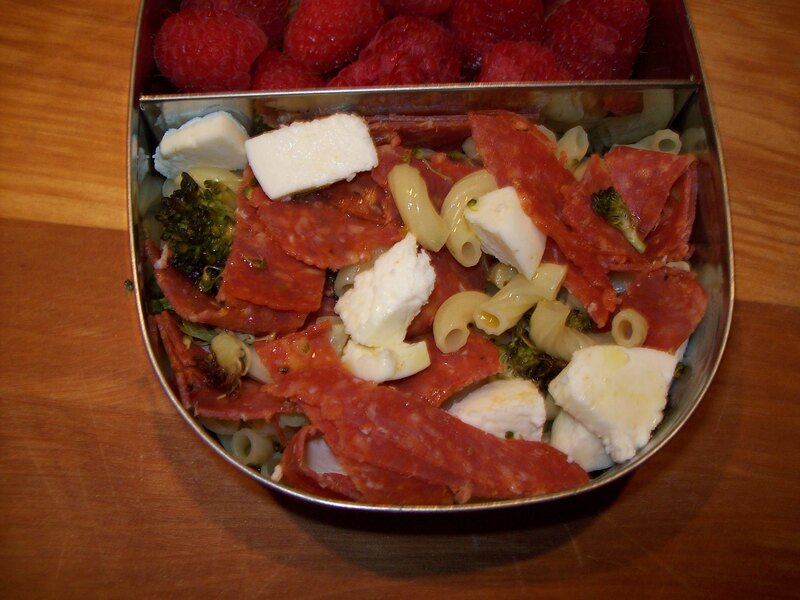 The way I’ve presented the ‘Roni salad here is customized to P.’s particular favorites. He enjoys roasted broccoli with pasta, and he’ll do ANYTHING for the nitrate-free pepperoni I occasionally purchase from the Whole Foods deli counter. It’s precisely because of the combination of peppeRONI and macaRONI that I’ve dubbed this “Roni salad.” I think of it as taking the pizza off the crust. You could certainly add grape tomatoes, peppers, spinach, even pesto to this; but I’m keeping it simple here, because that’s how my P. likes it best. This is the easiest recipe ever — just mix everything in a small bowl, pop into a lunch container, and you’re ready to go.